Also known as Wu Gong or High-Pitch Jing Gong, this Feng Gong is named after its origin of Old Fengtian Province. Crafted by highly specialized and experienced gong craftsmen in Wuhan, China, this Feng Gong is made of copper, and measures 26.5 cm in diameter. As this Feng Gong produces a clear and high-pitched crash, it is often played to create lively rhythms with other gongs in Peking opera. 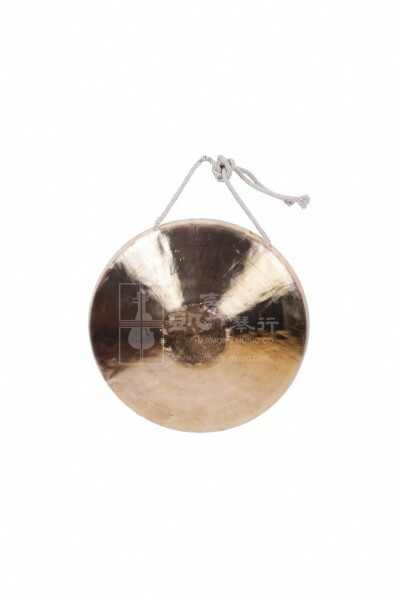 Comes with a mallet, this Feng Gong with its sterling sound may be an amazing addition to your percussion set. It can also be used in meditation and therapy.